We've been helping people achieve their dreams for over 30 years. Vincent Ortiz "Caring is Natural for Us!" "Very organized and made everything go as smooth as possible with my home mortgage, very professional!" "Very good customer service and Vincent has your back no matter what!" "My mortgage process went so fast and all of my questions answered quickly and properly everyone's been so nice to me, I really love that team. Thank you!" "Vince has superstar knowledge level of lending he and his team are true professionals - we had a calm and pleasant experience the entire way through, many thanks!" "As a 14 year Real Estate Broker, after meeting Vincent a few years ago my business has flourished, his loan Products are like none other I've experienced." "Vincent is the Best Area manager you can work for, he's always available to extend a hand and help you out with loans or branch issues. Thank you for you great support in the past 5+'s years with you." 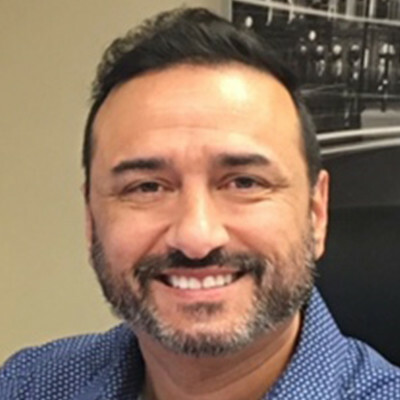 "I trust my personal loans and client loans with Vincent Ortiz - if he can’t get it done - no one can - Kim Hawk Realtor with Florida In Motion Realty." "Highly recommended to someone who needs nice people to help you buying a house quickly and safely, all questions will be answered appropriately..."
"Vincent not only assured us confidently but he was constantly in touch updating us of the process...amazing team and professionalism at Land Home Financial." "This was my first time buying a home and I was extremely nervous and scared. Vincent Ortiz made me feel extremely comfortable and answered all my questions and help me ease my worries..."